Cumulative upkeep U Whenever an Island is tapped for mana, its controller may add U to his or her mana pool. 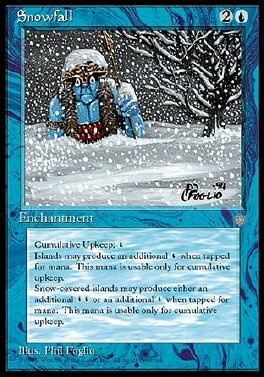 If that Island is snow, its controller may add UU to his or her mana pool instead. Spend this mana only to pay for cumulative upkeep.